SummitCare Canley Vale provides a choice of single or companion rooms in a modern, friendly and safe environment. Spacious rooms and plenty of natural light enhance the open feel of this truly outstanding centre. A very attractive courtyard garden leads off the large main dining room and is protected from the elements by two magnificent sails. The courtyard incorporates a BBQ area with outdoor furniture for resident and relative use. Experienced Registered Nurses are on duty 24 hours per day to provide high-level care and specialised nursing treatments. Staff and management have a commitment to continuous quality improvement and this was reflected in the fact that SummitCare Canley Vale was amongst the first homes in NSW to achieve the maximum three (3) years accreditation awarded by the Aged Care Standards Agency. There is a commitment to ongoing staff education which is often conducted within the large education centre located within the centre. 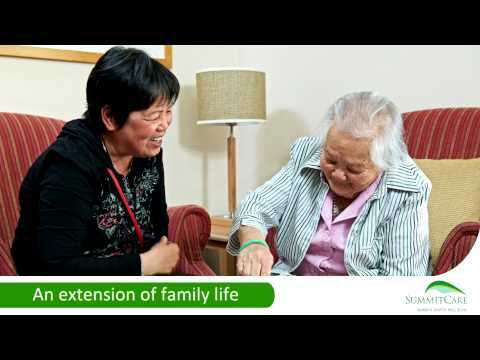 SummitCare Canley Vale accommodates residents from a variety of different nationalities and meets the specific cultural and social requirements for residents from a South East Asian background. Culturally appropriate care is reflected in the provision of multilingual staff, appropriate menu and specifically designed activity programs. Should you wish to find out more about the services at SummitCare Canley Vale, please feel free to contact the General Manager who would be more than happy to answer any queries or to arrange a tour of the home.